Ever wonder where the vitriolic hatred displayed daily towards President Trump by the liberal left, Hollywood, the traditional news media, and from the Democrat Party comes from? The answer is really pretty simple. Certainly President Trump’s brashness and his combativeness contributes to the daily beating he takes from most of those, but there is an underlying reason why so much hatred is directed at this president. The simple explanation is that it’s because he isn’t Hillary Clinton. By that I mean he occupies the White House, and she doesn’t. Donald Trump defeated Hillary Clinton in the 2016 election, and those who supported her simply cannot come to grips with that. 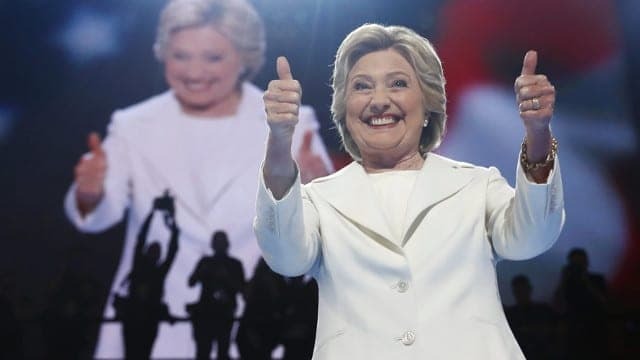 In order to understand one must consider that those who supported Hillary Clinton or at least the vision that they had of her, no matter how different from the reality, had roughly twenty-five years of their lives invested in making her the first woman President of the United States. Twenty-five years of their lives dedicated to one goal suddenly snatched away from them at the last minute. And when they had come so close! After all, she actually won the popular vote by most accounts, yet still lost the election. What a devastating proposition for those who devoted so much of their energies to bringing about a Hillary Presidency. Starting way back when her husband first ran for president and Hillary proclaimed that she wasn’t going to be some “Tammy Wynette stand by your man kind of First Lady”, adding that by voting for her husband you got “two for the price of one”, She became a darling of the news media and the Hollywood crowd. And the leadership of the Democratic Party immediately began drooling at the prospect of Hillary following her husband and becoming President of the United Sates in her own right. The bottom line is that no matter who it was who defeated Hillary Clinton, whether Rick Perry, Marco Rubio, or any of the other Republican primary candidates, the vitriolic hatred and “resistance” would have occurred. And it would have continued unabated into the next election in 2020, or when they successfully had them removed from office through impeachment. Hillary Clinton is the most corrupt, dishonest, and despicable politician in American history to ever run for the Office of President of the United States. But that mattered little to her supporters. While some in the news media, and even some politicians are describing Trump supporters as some kind of “cult”, there truly is a ‘Hillary cult’ that has lasted for at least twenty-five years. As more and more information comes out about the level of corruption that swirls around the Clintons, not to mention the level of depravity that has been covered up by Bill Clinton sycophants and Hillary herself, Americans are finally beginning to understand that the Clinton era has been nothing more than a stain on American political landscape. Twenty-five years of stain that will take a long time to erase.